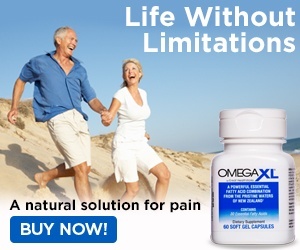 Had tried Omega XL for almost 40 days, felt no difference. Took forever to get thru on the phone to inquire how to send the unused portion back...and then was interrogated by the customer service rep when I had requested the information. They make it extremely difficult to request a refund. Waited on hold for 15 minutes in order to speak with someone. I cannot believe these celebrity endorsements for this product....I no longer have ANY RESPECT for these celebrities that endorse this junk! Do not recommend any one order this Omega XL. If you are not satisfied with it, you must mail back unused portion. Review #510625 is a subjective opinion of User510625.